We are upgrading the Thomas Cherry Forecourt. The upgrade of the Thomas Chery Forecourt reactivates this currently under utilised asset, and provide improved amenities for students and the University community at large, at this key gateway point into the University. The upgrade provide a space for people arriving or departing the University via bus, car or foot. The completed forecourt delivers better access to the University from the west, and includes improved seating, drinking fountains, an upgrade of the lighting and security and increased wireless network coverage. 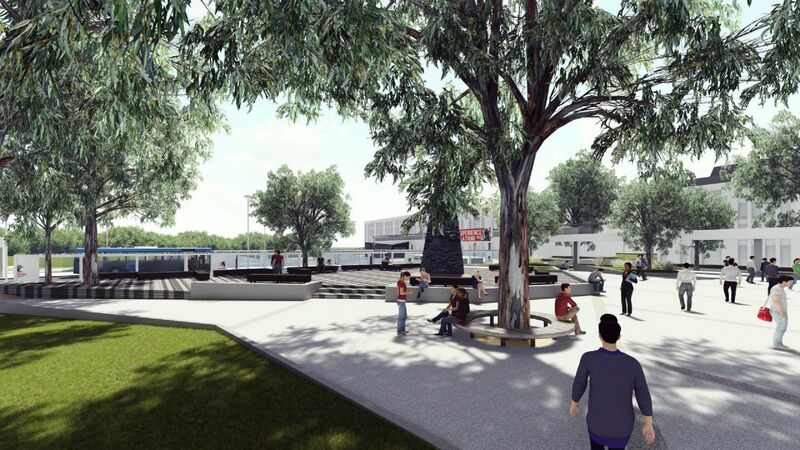 In line with the Melbourne Campus Masterplan, the upgrade represents the second of four packages. A greatly improved first impression for students and visitors accessing the campus from its western side, whether it be by public transport, foot or private vehicle. Increased levels of health and safety via improved accessibility provided for all people. A flexible space able to adapt when needed to the requirements of a number of uses.